Roger Woodward was neither a daredevil nor a stunt man, although he was the first person to survive a plunge over the Horseshoe Falls not in a barrel. 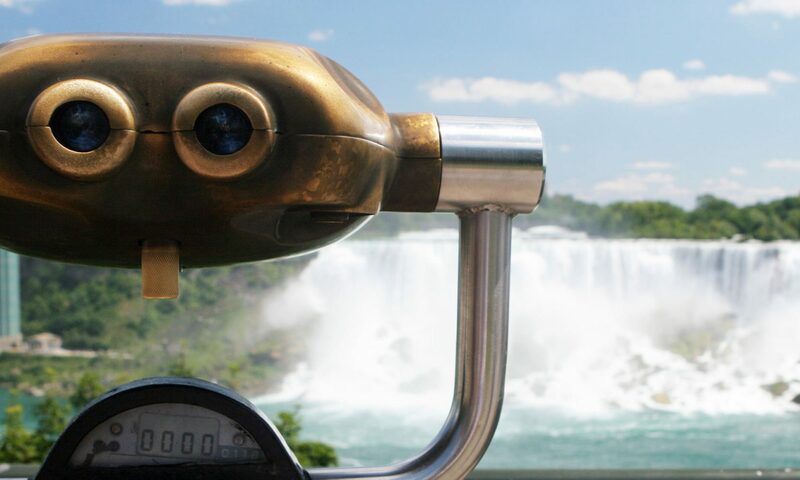 On July 9th 1960, seven year old Roger Woodward and his 17 year old sister Deanne, both of Niagara Falls, New York set out on a boat ride through the upper Niagara River with family friend James Honeycutt. Honeycutt, age 40, of Raleigh, North Carolina, was a contractor at the Niagara Parks Commission hydro project. An afternoon of boating was nothing out of the ordinary since Honeycutt had often taken them out. His boat was a 4.3 metre long aluminium boat with a seven and a half horsepower outboard motor. They began the boat ride about 8 km upstream of the Falls. This is also the location of the Lynch Trailer Camp (American Shoreline), where Honeycutt was. Approximately 1.6 km before the brink of Horseshoe Falls, Honeycutt was turning the boat around when the motor malfunctioned and ceased running. While examining the engine, Honeycutt discovered that the propeller pin had cut off. Honeycutt began to frantically row in the direction of the shore but the strong current was carrying the boat swiftly towards the Falls. Honeycutt ordered the Woodward children to put on their life-preservers, although he too busy rowing to put his on. Near the Falls the waves capsized the boat separating Deanne from both Roger and Mr. Honeycutt. Deanne held onto the side of the boat until a wave forced her under water. When she surfaced, she saw two men standing on the shore. John Hayes and John Quattrochi were visiting Terrapin Point on Goat Island when Hayes saw Deanne in the water. Hayes grabbed Deanne by her fingers and called for help from Quattrochi. Both men successfully pulled Deanne from the water. Roger Woodward was in Honeycutt’s arms until the raging water pulled them apart as they rode over the crest of the Falls. The shoes Roger was wearing ripped from his feet on his way down the cascade. Woodward was forced into the deep water at the base of the Falls but was quickly floated to the surface, due to his life-preserver. The crew of the Maid of the Mist spotted tiny Roger Woodward bobbing up and down in the water. Captain Clifford Keech was at the wheel of the Maid of the Mist II. After eight minutes and three approaches, they finally rescued Roger Woodward by using a life ring. Roger Woodward was taken to the Greater Niagara General Hospital in Niagara Falls, Ontario. He sustained only minor cuts and bruises. Deanne Woodward was taken to Memorial Hospital in Niagara Falls, New York suffering from nothing more than shock. James Honeycutt drowned to death.